The transformation provides the ability to play three different sports on just one Indoor Court! 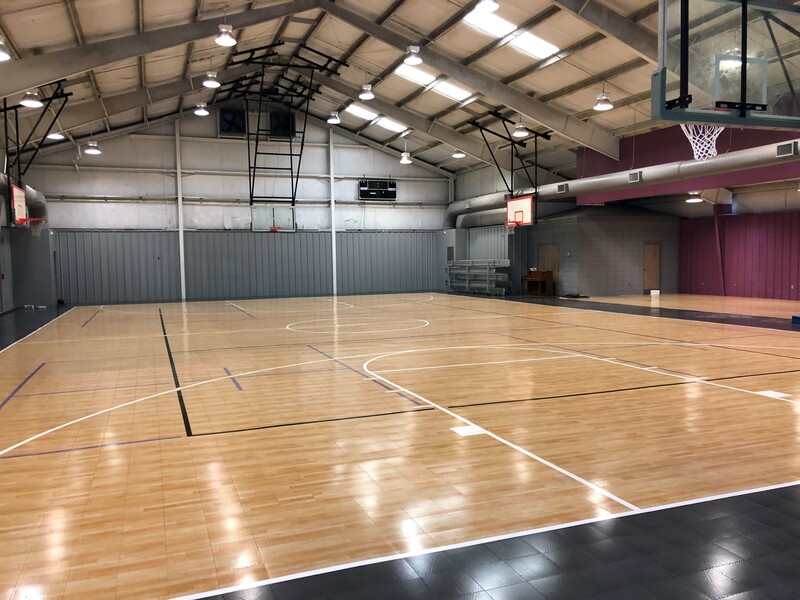 Not only people who like to play Basketball can use this indoor gym court but as well for Volleyball Players or participants who plays Pickle ball. The old surface was installed in 1998 and the upgrade performed in 2018, 20 year laters.